Thanks to technology, people who are blind can today function as effectively as their sighted colleagues in diverse professions such as management, law, accountancy, teaching, paramedical professions, and a range of vocations. Studying in a mainstream school became very difficult! Around the age of four, Mohith was diagnosed with Retinitis Pigmentosa, a disease which does not have a cure. He gradually began to lose his eyesight, and was 80% blind by the age of 13. Studying in a mainstream school became very difficult. 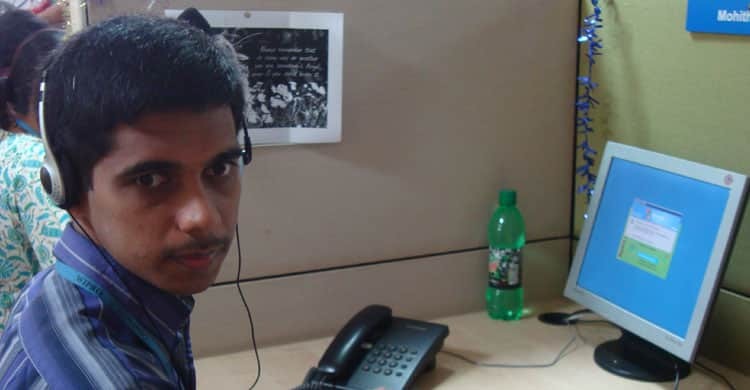 After he completed his tenth standard, he came in contact with Enable India, a Sightsavers partner in Bangalore. Here he was exposed to technology like computers and screen reading software. He also received life skills training (supported by Sightsavers). This enabled him to find a job with one of the world’s leading IT companies, WIPRO Technologies.